On May 30, 2008, I left Ottawa for a two-leg flight to Los Angeles through Montreal. I departed at 7:45am on Air Canada flight 8786. At 8:07, in-air, my cell phone rang. I had forgotten to turn it off. I continued to LA from Montreal. But when I returned home, my curiosity got the better of me. How did FIDO (my cellphone service provider) know that I was traveling to the US? I began an email correspondence with them. If a subscriber had gone to the United States prior to this trip and receives the welcome text message late and/or a second time. Please note that this is a known issue. If a customer is close to the US border and is unintentionally roaming on the American network. In this situation, please note that the customer would receive the text message at a later period. It is also considered to be a known issue to be unintentionally roaming when travelling along Highway 401. This can happen if your handset automatically detects and/or connects to other networks. Finally, this situation can also occur if a subscriber has taken the plane and flown over the United States at low altitude, without turning off his Fido handset. The flight was a direct one between Ottawa and Montreal. I had not been to the US earlier in the year. The closest that I would have come to the US border is approximately 200K. The range of a microwave tower doesn't come anywhere close to that. * In any case, the upshot of this correspondence was that FIDO "cannot investigate this matter any further." Now, it seemed to me that the only possible explanation (other than a highly unlikely coincidence) is that Air Canada and FIDO share information. I don't really have a problem with that, to be honest, but I was irritated by what appeared to me to be stonewalling. So, more out of curiosity than anything else, I launched a complaint with the Privacy Commissioner of Canada on June 19. Early this month, I was contacted by the Office of the Privacy Commissioner. I had, it appears, omitted a step in the procedure, namely to submit my complaint first of all to the Chief Privacy Officer at FIDO. Whoops. On August 15, I did that, enclosing all of the documentation. 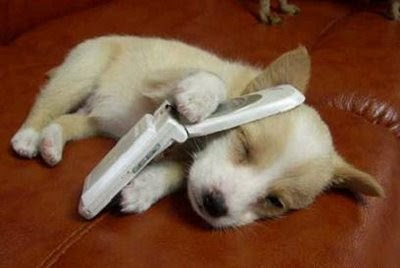 Today I received a call from a FIDO "supervisor." He explored ever-more-farfetched scenarios, including the possibility that my cell signal "intermingled" with the plane's communications. After a maddening conversation (he was speculating out loud, and denying throughout that there was any information-sharing on FIDO's part), I asked if he would put all this in writing. That's when things got interesting. He refused point-blank. "We do not have the capacity to generate such a letter," he said, and I'm quoting directly. I asked if I would be getting a response from the Chief Privacy Officer. No, I was told, I would not. Not even an official acknowledgment of my inquiry? No, he said. It's not a privacy matter. There was no breach. I'm not the tinfoil-hat type, but readers will forgive me, after a response like that, for thinking that I might have stumbled onto something. I immediately got in touch with my contact at the Office of the Privacy Commissioner. She told me to put it all in writing, and they will re-open the file and commence an investigation. Stay tuned, although these things can take up to a year. Meanwhile, if there are any techies out there who can come up with plausible scenarios other than information-sharing, or, conversely, who see the latter as the most likely one, I would appreciate hearing from them. *Commenter Peter has a far better grasp of geography than I. I really need to get out more. This page contains a single entry by Dr. Dawg published on August 27, 2008 11:26 AM. Signs was the previous entry in this blog. Election dates: unfixed or re-fixed? is the next entry in this blog.